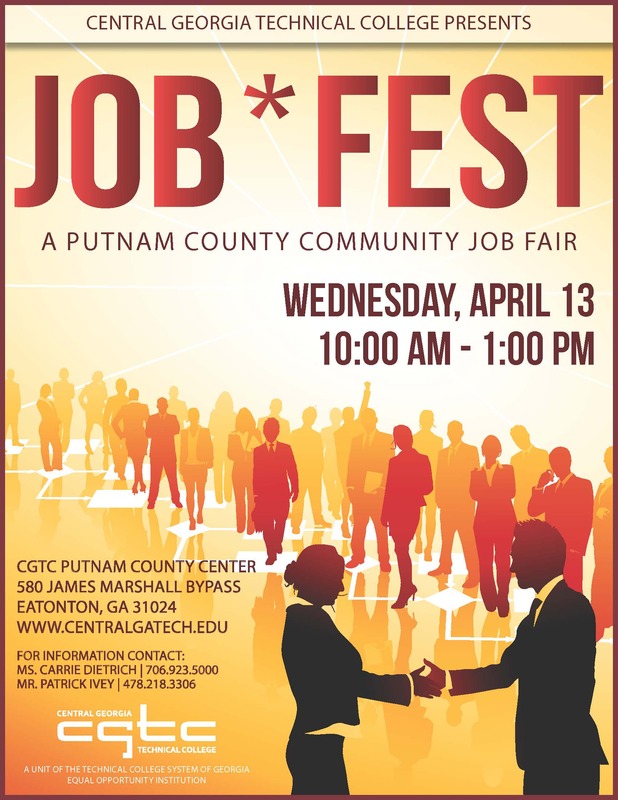 2016 JOB*FEST: A Putnam County Community Job Fair will be held at the Central Georgia Technical College, Putnam County Center Building located at 580 James Marshall Bypass (US441 Bypass), Eatonton, GA 31024 on Wednesday, April 13th from 10:00 am to 1:00 pm. 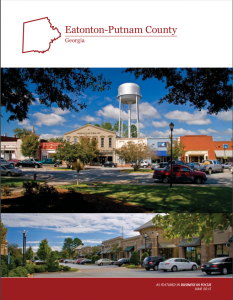 To reserve a table at 2016 JOB*FEST, please complete the attached form and e-mail to: cdietrich@centralgatech.edu or fax to: 706.923.5014. The registration deadline is March 23rd!